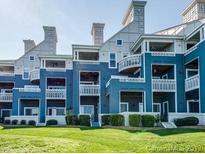 Below you can view all the condos for sale in the Vineyard Point subdivision located in Cornelius North Carolina. Listings in Vineyard Point are updated daily from data we receive from the Charlotte multiple listing service. To learn more about any of these condos or to receive custom notifications when a new property is listed for sale in Vineyard Point, give us a call at 704 604 8836. The complex includes a community pool overlooking Lake Norman and tennis courts. MLS#3493233. Shelter Makers Realty LLC. Hurry This beautiful home won't last long! MLS#3489934. Southern Homes of the Carolinas. Minutes to restaurants, gym, grocery, etc. MLS#3459995. Keller Williams Lake Norman. Beat the spring rush. Wont last !! ! MLS#3461588. EXP REALTY LLC. Enjoy the view of the lake, marina, and pool views! MLS#3457559. Wilkinson ERA Real Estate. Great for second home,rental property, or just a quiet place to call home located in the heart of Cornelius. MLS#3452013. Southern Homes of the Carolinas. Recent updates include granite countertops, tile backsplash, new carpet, and fresh paint. MLS#3449815. Wilkinson ERA Real Estate.